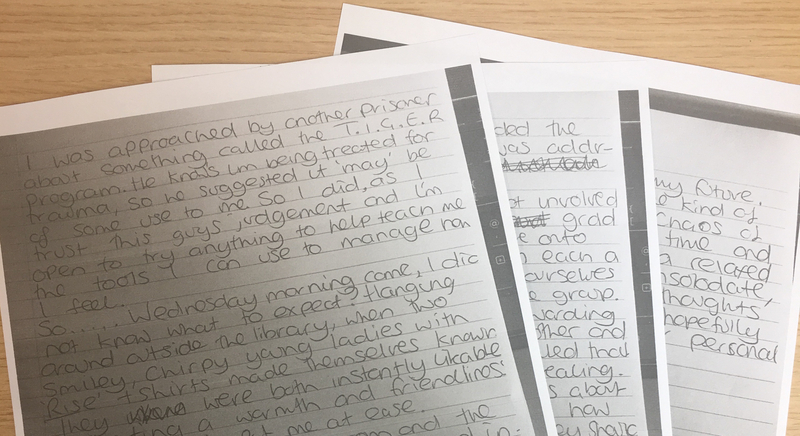 Following the recent post about our work at HMP Coldingley, one of the prisoners wrote a moving piece about his experience on the T.I.G.E.R programme. As a Community Interest Company, RISE Mutual CIC deliver specialist, innovative offender rehabilitation services across London and are committed to transforming the lives of individuals, families and communities. We are constantly evolving and updating our services in line with cutting-edge research on “what works” in offender rehabilitation and the needs of our service users. 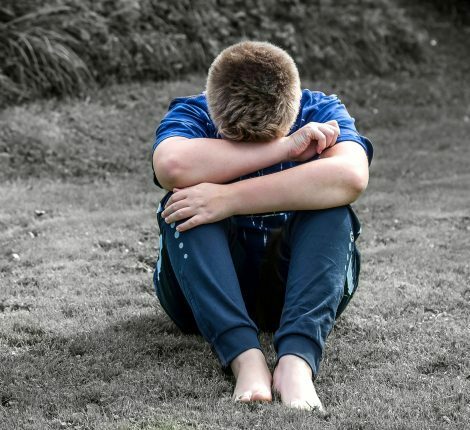 Across social systems, the term ‘trauma-informed’ is trending and care professionals consider being “trauma-informed” a new touchstone in the advancement of understanding people with complex needs. RISE is placing itself at the forefront of this by establishing itself as a leading provider of trauma-informed interventions and services within the criminal justice sector. We have recently begun working at HMP Coldingley delivering the T.I.G.E.R (Transforming Inside Growing Emotional Resilience) programme. The T.I.G.E.R programme is a 3-day intervention for offenders aged 18 and over who continue to experience the legacy of trauma as a barrier to moving forwards. The T.I.G.E.R programme offers offenders an opportunity to explore this aspect of their past and subsequently benefit from the development of greater emotional resilience. The programme uses an eclectic therapeutic model, with Solution Focussed Brief Therapy techniques supported by Jungian ideas of creative therapy, image making and symbols. 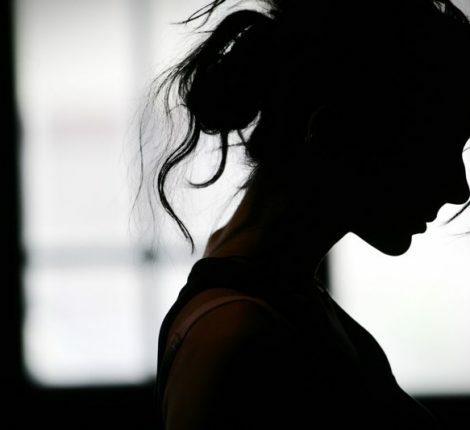 It also draws upon Cognitive Behavioural Therapy (CBT) techniques. To raise individual motivation levels to participate in other regime opportunities relating to criminogenic and non-criminogenic needs. Below, one of our service users has written insightfully about his experience on the programme last week and how it has benefited him. “I was approached by another prisoner about something called the T.I.G.E.R programme. He knows I’m being treated for trauma, so he suggested it may be of some use to me. So I did, as I trust this guy’s judgement and I’m open to try anything to help teach me the tools I can use to manage how I feel. So… Wednesday morning came, I did not know what to expect. I was hanging around outside the library, when two smiley, chirpy , young ladies with ‘RISE’ t-shirts made themselves known. They were both instantly likeable, radiating a warmth and friendliness that instantly put me at ease. We all went into the room and the ambience was calm, relaxed and inviting. We sat down on cushions and both Molly and Elaine took lead of the group in a way that felt very democratic. They took charge comfortably and everyone felt instantly soothed. After initial group introductions and brief explanations on the group and what it entails, we cracked on with group exercises where we all started to get to know each other and start to work through our own minds. It was a tranquil start and the mood in the room was hopeful. We ended the day calm, our wellbeing was addressed and ensured we left in a good place. Day 2 started well, we got involved with more group exercises, gradually and serenely we move on to our own time – we were each given a chunk of time to focus on ourselves and to listen to others in the group. For me this was the most rewarding part. We all respected one another and listened as each of us revealed that which we felt comfortable revealing. I learnt some amazing things about others in the group, especially how brave some are and how proud they should be with the courage they show. In the whole time there was no judgement, no unruly behaviour and nothing but absolute respect for everyone’s thoughts, feelings, values and beliefs. The last day was not as deep or intense as day 2; it was fun and carefree, kind of consolidating the team building and skills we had learned from the previous 2 days. I felt I got a great deal from these 3 days. The gentle and fair leadership shown by both Elaine and Molly was outstanding. I believe I have learnt one or two new skills to help me progress into my future. Also the days gave me some kind of brief escapism from prison life, giving me the time and understanding support in a relaxed environment to help me consolidate, secure and stabilise my thoughts in a progressive way that will hopefully be a foundation to better personal emotional management. This service user feedback really helps show the value of the T.I.G.E.R programme and indicates very promising outcomes for offenders who engage in the programme. 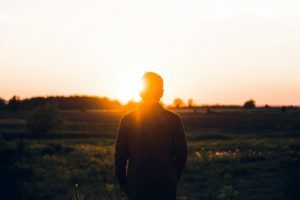 Learning about their own experiences of trauma, the way in which it has shaped their lives and the means of extricating themselves from it’s effects will not only empower offenders, but also create a foundation on which they are able to make an increasingly positive contribution to society. We would like to thank Elaine and Molly for delivering what has clearly shown to be a hugely impactful programme, and to the staff at HMP Coldingley to facilitating us to do so. To find out more about work we deliver in prisons, please contact us.